(Natural News) Most people understand that utility bills are a necessary evil if they want to live in the modern world – even if utility bills eat up a large portion of monthly income. That said, few are willing to pay more than they should be paying, and yet, according to a stunning new report, some people are paying more than they should. A lot more. As reported by web site Boing Boing, a research team from the University of Twente in Enschende, Netherlands, and Amsterdam University of Applied Sciences documented billing inaccuracies in a paper that reviewed the efficacy of so-called “smart” electric meters, ranging from -32 percent to +582 percent of the actual power consumed in a month’s period. In all, five of nine smart meters that were tested provided readings that were substantially greater than the real amount of energy utilized, while two actually gave readings lower than the amount of power consumed. Researchers found the biggest discrepancies when they joined dimmer switches with LED and energy-saving light bulbs. Upon finishing their experiments, researchers then took apart the tested smart meters to see if they could find out what was causing the massive deviations. In the process, the three-man team of researchers found that the meters which provided the dramatically higher usage rates used a Rogowski Coil in the construction, while meters that gave artificially lower readings employed Hall effect-based sensors. But both modes of construction inaccurately measured the actual amount used. It wasn’t clear from the abstract whether the tested meters were actually in use, either in the Netherlands or elsewhere. If both of those types of meters are being used, then some are paying less for the electricity they use, while most are paying much, much more. 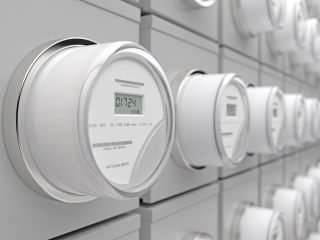 In addition to costing consumers far more money, some researchers contend that the meters themselves are also health hazards. And some lawmakers at the state level are taking action. Others have issues with the privacy aspect of smart meters. Electric use data hacked from a wireless smart meter can be used by clever criminals to determine when people are home and when they are gone – to work, in particular – which provides them a window to enter the home without expecting anyone to be there. There are also physical dangers to smart meter use. As Natural News has reported, some smart meters that are mandated by government have spontaneously caught fire, putting residents at risk of loss of life and property. Learn more at SmartMeters.news. Since we have a database of thousand of west coast property profiles that we have audited since 1989, we can determine if your property’s electric consumption is reasonable. If it is not, we can initiate an investigation or replacement of your smart meters and obtain retroactive refunds for you if you have been overcharged!